The men who inhabit the stories in this compelling collection live in precarious normaley, mostly in northern Idaho, balancing dashed dreams with an uncertain progress into maturity, small-town realities with their largely unfulfilled hopes for lives that are somehow vaster than what they have. It is due to Keith Lee Morris's superb gift of giving such eloquent voices to his characters that we cherish their unique humanity and believe completely in the bewildering complexities that lie just beneath the placid surface of their yearning workaday lives. 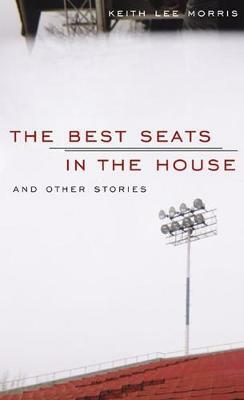 In ""The Best Seats in the House,"" a failed high-school athlete watches as his more gifted son falls under the spell of his charismatic father, a retired coach who ""could make people hope...that something would be made from nothing."" The conflict between the narrator's own lost ambitions and his fear that his son is being set up to fail reveal in unforgettable fashion the painful tensions of parental love. In ""Objects Past the Shoreline,"" a young man in the process of losing his sight struggles to accept the irrevocability of blindness while clinging to what independence remains. He spends his days reading poetry and exploring the world around him: ""I went up close to see - Indian paintbrush, the thick buds scarlet and dusty. I closed my eyes and searched for the flowers' imprint, for the red soar the buds would cut across the blackness."" Gradually, the world darkens around him, leading the story to a conclusion of wrenching poignancy. Morris is a writer of remarkable skill, and these stories of small-town men groping for a perspective on themselves and the lives they've come to live are among the most powerful in contemporary fiction. This is the work of a major talent coming into his prime. "Keith Morris is one of my favorite writers in the world. I devoured these stories. They are everything art should be: sad and funny and human as hell. The Children of Dead State Troopers is the best piece of short fiction I ve read in years." Steve Almond, author of"Candyfreak: A Journey Through the Chocolate Underworld of America"
one of the most impressive books of stories I have ever read . A triumph! Fred Chappell, author of"Backsass""